I thought this photograph of the Hill Cycle shop van was really cool. It was taken post race, with these young lads in front of a Gitane track bike with TA cranks and an underslung track stem. One kid has a trophy, one has a pump and some boxes(tubes?) and the middle kid is holding something unidentifiable. I assume all prizes. 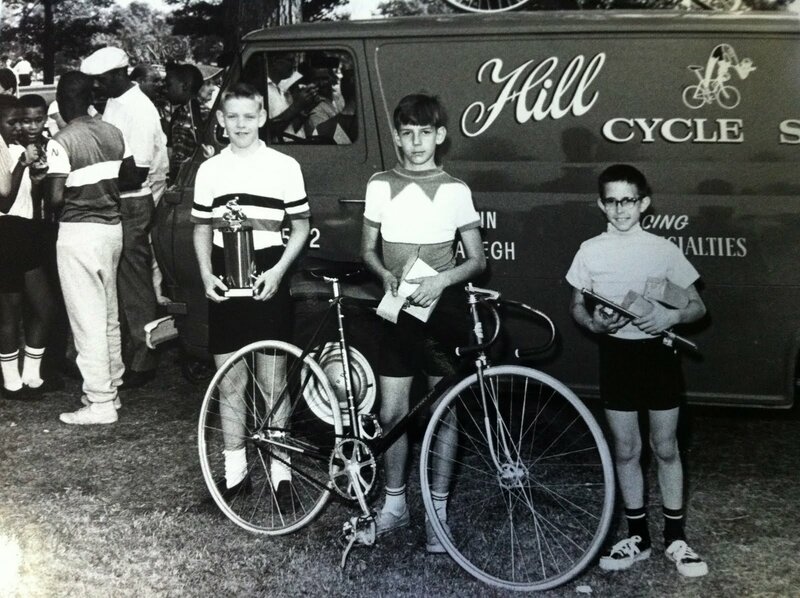 Hill Cycle shop was a big supporter of cycling and cycle races in the Philadelphia area for many decades.